leyrers online pamphlet :: y2007 : m02 : Congratulations Melissa Etheridge! Melissa won an Oscar for „Achievement in music written for motion pictures (Original song)” for her song „I Need To Wake Up” from the documentary feature „An Inconvenient Truth”. Inconvenient Truth is director Davis Guggenheim’s Oscar-nominated portrait of former vice president Al Gore’s personal history and lifelong commitment to reversing the effects of global climate change. Gore asked Etheridge to write a song for the film. Melissa Etheridge’s „Greatest Hits: The Road Less Traveled” (originally released on October 4, 2005) will be re-released on March 13, 2007 by Universal Music Enterprises and Island Records. 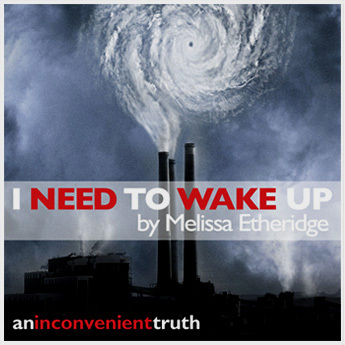 The enhanced CD includes both the track and music video of the Oscar song „I Need To Wake Up” from the motion picture „An Inconvenient Truth” featuring Al Gore. The standard package (both sleeve and tray) will be completely paper-recyclable.